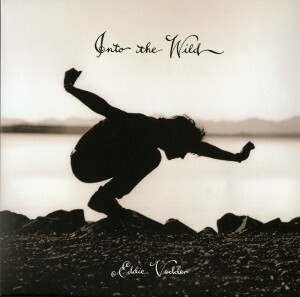 Monkeywrench/Vinyl Films Records is proud to release the limited edition vinyl version of the soundtrack to the film adaptation of Jon Krakauer’s best-selling book, Into the Wild on January 15, 2008. “I had structured my screenplay dependant on song accompaniment to both visceral and storytelling components,” says Into the Wild writer and director Sean Penn. “It was during the shooting of the film that Eddie Vedder’s voice as singer and songwriter came to mind as the right voice for this movie. Within a month of his accepting the request, these great and moving songs poured out of him. No other voice flows, bleeds, or rejoices the young American’s land and heart so passionately as Vedder’s. His contribution not only raises the impact of the film considerably, but I believe will be an indelible collection independently. Put it in the time capsule under ‘Road companions’”. Eddie Vedder’s Music for the Motion Picture Into the Wild was initially released digitally and in compact disc format on September 18 — debuting at #2 on the Billboard Soundtrack chart and #11 on the Billboard Top 200 and to many accolades. The vinyl version includes an exclusive, extended version of the album track “The Wolf”, a bonus 7” single with both studio and live versions of the track “No More”, a 28-page full color booklet with lyrics, and exclusive liner notes by Director Sean Penn. Extremely limited copies will be available at retail outlets on January 29th, 2008.